Choi Young-kil, who is on the nationwide wanted list for cashing a counterfeit check, has turned out to be a former police officer. The Gyeonggi Provincial Police Agency said that Choi worked as a police officer from 1982 until he was fired at the Seoul Metropolitan Police Agency Mobile Police Corps in 1990. An overseas travel ban has been placed on Choi, but he is speculated to have already fled Korea to avoid arrest. Choi and two other suspects cashed a forged 10 billion won ($ 8.73 million) check at a Suwon bank on June 12. The police have put them on the wanted list. The 60-year-old fugitive allegedly cashed the check in U.S. dollars and Japanese yen. Dammit, I’m in the wrong business! Well, I figure I should do more news reports. So much is not known about things in this part of the world…or things that are related to Korea. SEOUL, South Korea — Nine North Korean defectors have been forced to return to their country from China after being captured in Laos, a South Korean news report says. Laos had been assumed to be a safe route for North Koreans leaving their mostly poverty-stricken homeland. Activists say that defectors who are returned to North Korea can be punished or even killed by the regime, considered one of the world’s most repressive and brutal. Surprise surprise. I just can’t really fathom a country that goes to such great lengths of control. It simply can’t last. PYONGYANG, North Korea — New international sanctions aimed at thwarting North Korea’s nuclear weapons program are having unintended consequences: halting money transfers by foreign humanitarian groups working to help those most in need and forcing some agencies to carry suitcases of cash in from outside. Sometimes I am a little mixed. I mean, people should be allowed to do what they want but at the same time, if other people want to do something different, then it should be so. If you simply cannot bear to think on you own and let someone else run your life, that’s fine by me but you should be aware of the alternatives and make an informed decision. A painful plastic surgery usually only performed for medical reasons is being embraced by South Koreans as the latest way to improve their appearance. First, and this should be a rather LARGE clue. Not a single embassy has issued a travel advisory. Unlike their warning for North Korea. Foreign Affairs and International Trade Canada advises against all travel to North Korea (officially named the Democratic People’s Republic of Korea) due to the uncertain security situation caused by North Korea’s nuclear weapons development program and highly repressive regime. There is no resident Canadian government office in the country. The ability of Canadian officials to provide consular assistance is extremely limited. Here’s the US Embassy in Seoul. So stop your belly-aching and whining and fear-mongering about North Korea. The news is NOT your friend in this (or any other really) matter. They are there for one reason and ONE reason only….to make money but oh, they got you sooooo good. There are people who are listening to some fear because of fancy words put into the media, fueled even further by paranoid families that they have decided to quit their English teaching jobs here and go home. They don’t put a single, solitary REAL thought into the possibility of it actually happening. They only listen to the media (yay for profits!) and give up to their fears. Have a nice flight home you people. Those who don’t bother to look into things for themselves. Those who let others make decisions for them. Those who have no spine. War does NOT make a ruler popular. The Kim dynasty has a history of making threats after leadership change. This is all ‘sabre-rattling’. It is a ‘war of words’. It is all talk. If you think the vast majority is poor now, how do you think they could possibly handle any-type of prolonged fighting? Hell, even China is getting pissed at them, and China is their only real friend (not counting the Iran connections…). If it does, you have my explicit permission to say “I told you so.” Till then, Grow a pair! Smuggling of Human Flesh Capsules on the Increase in #Korea. Even Reports of Dog Flesh? Following the discovery in 2011 that the corpses of stillborn babies or infants that passed away shortly after birth were being turned into powdered form for purposes of human consumption, it has come to light that the same capsules are being smuggled into Korea. Incheon International Airport Customs and Excise Department made public the discovery on 31 March this year and several Korean news groups have been quick to report the news. According to the same airport’s Customs and Excise Department, the amount of illegal health foods confiscated in 2012 totaled 1,715 items (486 kilograms). Of this figure, dead baby fetuses that were turned into pill-sized capsules, termed as “human flesh capsules”, made up a total of 47 cases. Perhaps even more alarmingly, a total of 20,663 of the capsules were confiscated in the same year; over twice the amount recorded in 2011. The problem becomes even more concerning when one considers that this year alone has already seen the confiscation of 3, 235 of the same items. The capsules are produced and consumed by foreigners outside of Korea, but for purposes of being passed to friends residing in Korea they are often carried in hand luggage or sent via international mail. What’s more, while human flesh is admittedly the most shocking of smuggled ingredients, dog, cobra and toad flesh have also been discovered in powdered form inside of smuggled capsules. The extracts from toad flesh are known for its hallucinogenic properties. It is the first time that dog flesh has been confirmed among the confiscated items. Human flesh capsules are smuggled into Korea via China and have a demand on Seoul’s black pharmaceutical market as medicine purported to be able to heal a wide variety of illnesses. Reports of demand for this type of flesh were first published in a Korean monthly magazine where they shocked many citizens around the world. I remember reading about this in 2011. It was shocking then but not surprisingly it is still around. What also bugged me about this article is the fact that the wording they chose is both kinda stupid and seemingly pointing out that Koreans don’t do anything bad. First the stupid wording. “foreigners outside of Korea” Huh? Isn’t everyone outside of Korea a ‘foreigner’?? I’m thinking that this may have been a translated article and somehow they missed the meaning of just ‘people outside of Korea’. Second, Koreans. If this article wasn’t mis-translated, then it would lead to imply that ONLY foreigners outside of Korea are involved in ‘bad things<tm>’. We all know that Koreans never do anything wrong, right? Sometimes I really wonder about RocketNews24 and their stories. Author DragonDonPosted on April 4, 2013 Categories ContentTags Korea, News, South Korea10 Comments on Smuggling of Human Flesh Capsules on the Increase in #Korea. Even Reports of Dog Flesh? With a headline like this, where else would you want to be? I have a daily search for Korea emailed to me everyday. I like to keep up with some current events in the country I am living in. Especially one that is still technically at war. Normally one might be tempted to fluff this off as simply sensational news but there are so many reasons why you shouldn’t. First, the current president is a female. 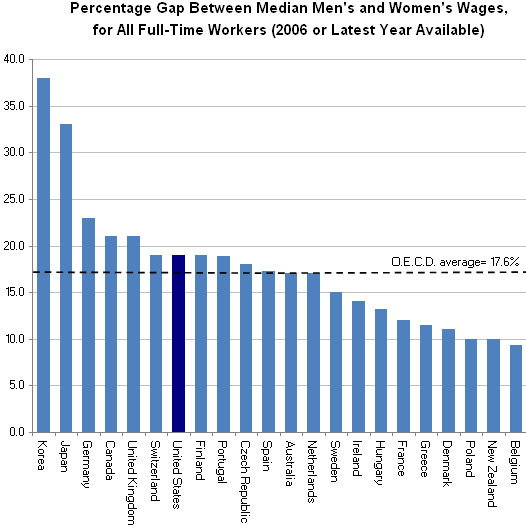 Not only is this a first, it is a first in a country where the gender gap in wage is one of the largest in the world! Now if that was all, it would be a pretty big thing but as the late night infomercials are fond of saying “But wait…there’s more!”. Korea’s new president, Park Geun-hye is the daughter of Park Chung-hee, a Army general and the dictator of South Korea from 1961 to 1979. There was much more talk about her bid for presidency this time(she has tried before). Now, let’s add in a society that places an insane amount of importance on saving face, and you have something that cannot be ignored. So now we have so many firsts and with someone that has so much history attached to her, and now add in an event that someone publically claims so much dishonour and shame to the President, you get rash and swift actions. If this was another country, I’m sure some sort of “Korean Jihad” would be claimed immediately(kinda like the neighbours to the north). What was said? Well, you could read it yourself, but let me summarize for you. Ms.Park had immoral intimacy with Tae-min Choi 15 years. After Tae-min Choi’s death, she had immoral intimacy with Yoon-hoe Chung, a son-in-law of Tae-min Choi 16 years. Ms. Park had two abortions. Yoon-hoe Chung exercises authority by pulling the wires from behind Ms. Park. Ms. Park has used narcotics for many years. Ms. Park went to North Korea to give Jung-il Kim fifty million dollars. Ms. Park and Jung-il Kim slept together (according to an intelligence of CIA). Ms. Park’s father deposited in a Swiss bank six billion dollars, the price of the blood that Korean soldiers shed in the Vietnam war. The six billion dollars are still in the Swiss bank. Sure, you might be tempted to write this off as nothing but a rant but given the fact that this guy was arrested ON A LIVE BROADCAST (I’ve jumped ahead to when the police show up for your convenience) and then for none of the legal paperwork for this arrest to actually surface (making the arrest completely illegal apparently) has GOT to get you thinking. Not only about how true or not true these allegations are but also how much behind Korea really still is as far as freedom of the press is(n’t). Me, I’m not worried. I only present events as they happen and are publicly available anywhere online. This is history in the making!